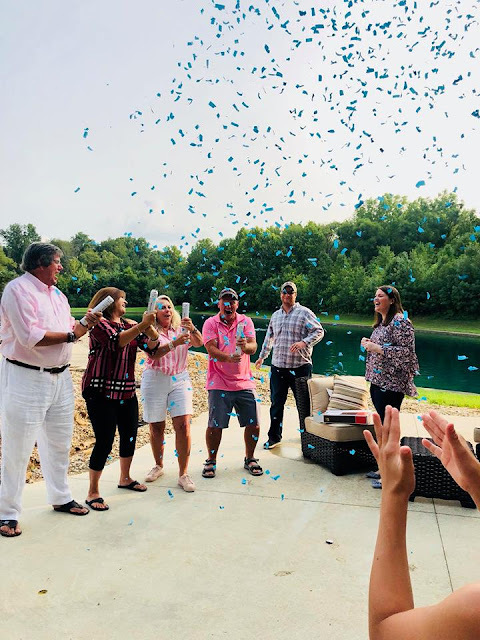 Gender Reveal Party: It's a BOY! Hi Everyone! 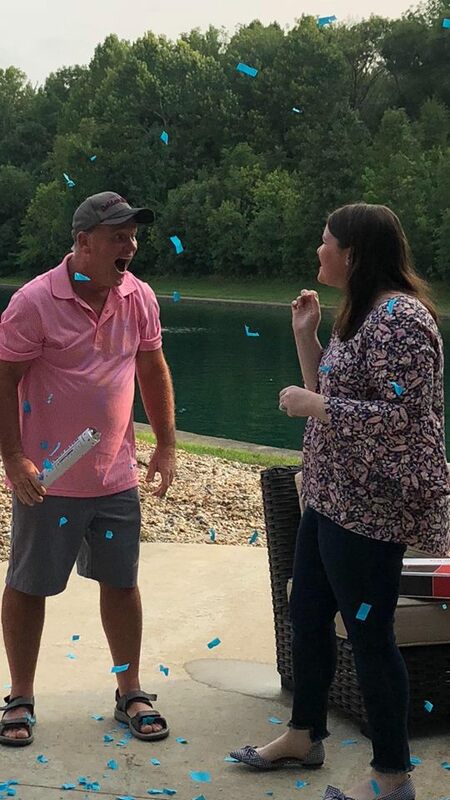 IT'S A BOY!!! It has been one exciting couple of weeks finding out the gender of our baby that we are expecting in January! This past weekend was truly the icing on the cake when we were able to tell our friends and family it's a boy!! We threw a big gender reveal party back at home in Indiana with all of our family and friends and it couldn't have been more perfect. Every detail and moment was wonderful. I am so truly thankful for such great people in our lives. Hi Everyone! Long time no blog post huh!? Wow I can't believe it has been three months but anywhoo there is a perfectly good reason for my blogging absence.... BABY DRAFFIN!!! As you all know from my social media that we are expecting our first baby in January 2019! To say we are excited is an understatement. 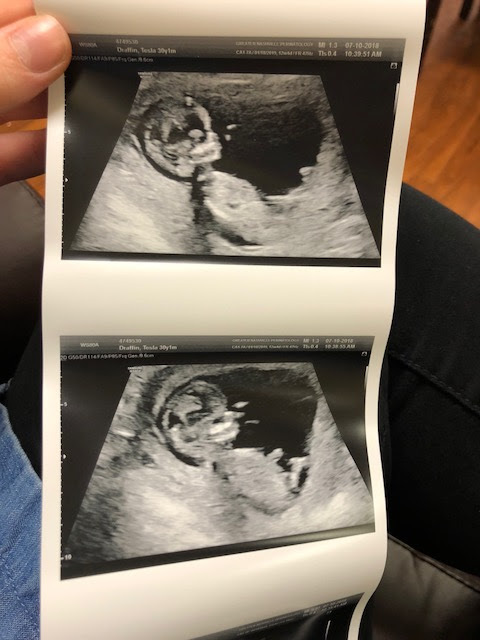 I wanted to share the exciting news on my blog as well and tell you a little about my first trimester experience (if anyone is interested) haha! Let's go back to how I found out. We were on our 3rd Anniversary trip out west and yes thats when it happened haha! TMI but thats okay :) Well, it was then 2 days after Mother's Day that I was feeling nausea and just not myself. I thought I was catching a stomach bug and didn't think anything of it. I was at dinner with some girlfriends at a salad place and after I ate my salad I felt the same way. My friends encouraged me to take a pregnancy test "just in case" so on my way home I purchased "3" tests to just make sure. Reed was home and I brought dinner home for him and he was eating in the kitchen. I didn't tell him about picking up the tests so I ran into the bathroom and tested one and sure enough "pregnant" I literally about died. I stared at the test for a good ten minutes and thought what in the heck do I do haha! For years, I had thought of this day and how special it would be for us. I thought of every cute way I would tell Reed when and if this time would come. Welllll, I bet you can guess after the shock I just had in the bathroom I couldn't wait. Poor thing, was mid bite into a sandwich and I slid the test to him and just stood there with tears in my eyes. His eyes got big and he said NO WAY! hahaha It was pretty awesome. I have realized these moments sometimes don't need to be picture perfect and pinterest worthy- sometimes the best moments are just real and not prepared haha! This moment was anyways. The next day I immediately set up my first doctor appointment and thought I needed to eat as healthy as possible and start exercising. HA! Well, God definitely had other plans for that. I found out when I was about 4 or 5 weeks pregnant so the beginning stages of morning sickness were starting to kick in. I remember calling my doctor and saying I can't keep food down, I had lost 10 lbs, all I drink is ginger ale and gatorade, and crackers were my only food group is this normal?? l She assured me yes, that women who get morning sickness which is almost everyone (except those select lucky ones) experience these exact same symptoms. She recommended some medicine for me to take over the counter since I had lost weight pretty quickly and I began taking that. After about week 8, I couldn't hide it from our parents any longer, as both my parents and my in laws were coming into town back to back weekends in early and mid June. After missing family event after family event here in Tennessee, the Draffins thought for sure I had some disease or at least Grandmother did haha! 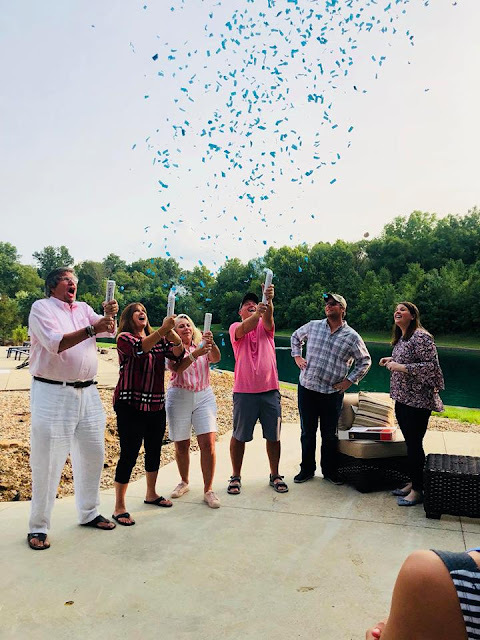 When Ken and Barbara came to town that weekend we surprised them with a "happy" and let them open a sweet pair of white crocheted booties to tell them we were expecting a baby and they were going to be first time grandparents! After many yells, screams, jumps, and tears we had our first set of family completed haha! 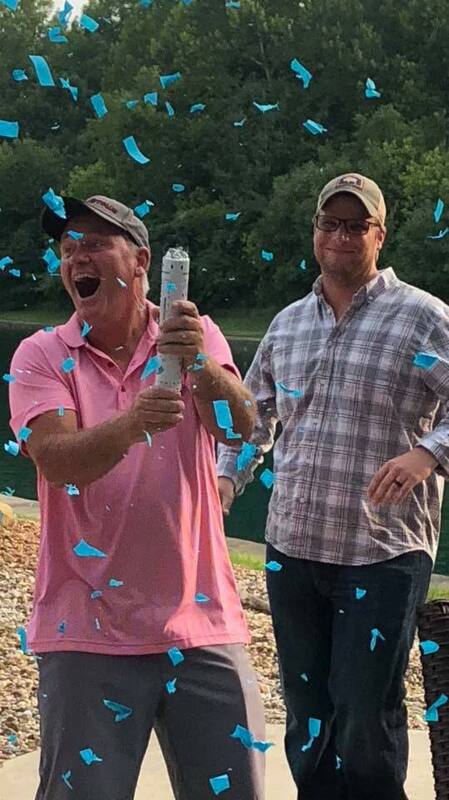 My parents were coming the following weekend and we did the same thing and told them we had a "happy" for them. I let my mom open it and out popped a little IU Indiana Hoosiers baby onesie. I yelled" Im Pregnant" and my mom yelled and my dad's mouth wouldn't close haha!! First time grandparents on both sides, it was a pretty incredible moment. It was a super fun couple of weekends and then telling my brother the next day and his reaction being the best saying... "Oh S*** I am going to be an uncle haha! For the aunts & uncles and cousins we had cookies ordered (pictured below) and we surprised them at the cookouts. My first trimester, has definitely been one of the most challenging experiences I think I have had yet battling the non stop sickness, no energy, and constantly sleeping but I know it will all be worth it in January. I am happy to report I am feeling better and gaining some energy now in my second trimester ( thank goodness). I literally thought it would last forever but I am so thankful it has slowly gone away. I felt so bad for Reed the past couple of months with not being able to cook from the smells of the food, ordering take out for him all the time, and non stop sleeping but I am so truly thankful for his patience and putting up with this crazy woman in the first trimester. I have said this multiple times before, but God sure knew what he was doing when he put Reed into my life. That man is incredible and I am forever grateful. 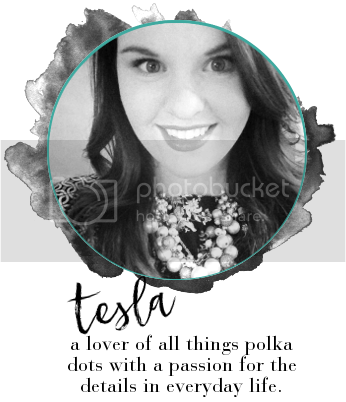 I thought sharing my first trimester would be fun to share and all the fun details over the past 3-4 months. The best part about telling all of our family is that we secretly recorded each surprise to each family member. It was the best memory I will forever hold in my heart and also on my phone. We are going to take the videos to have them put on a CD to keep. During this process, of up and down I can't help but only just be thankful to be able to experience these symptoms and be able to be pregnant. I thank God daily for this tiny little blessing and all the fun we have in store. 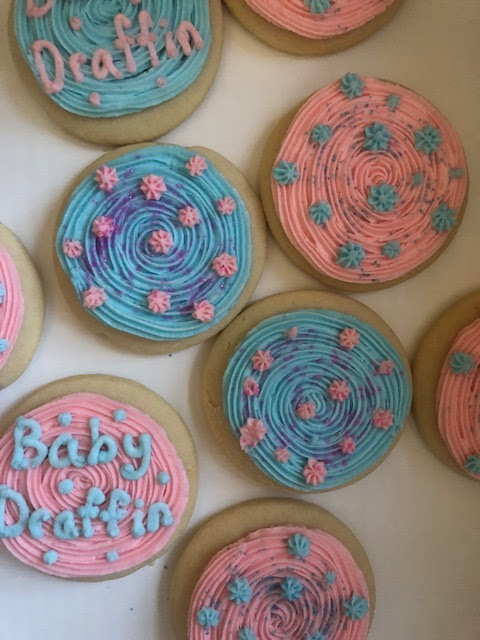 This weekend, we are sharing the gender of our baby to all of our loved ones and having a gender party and friends near and far will be able to be apart of it as well. I continue to feel truly humbled and grateful for this season in life. God is always so good and we owe it all to him.